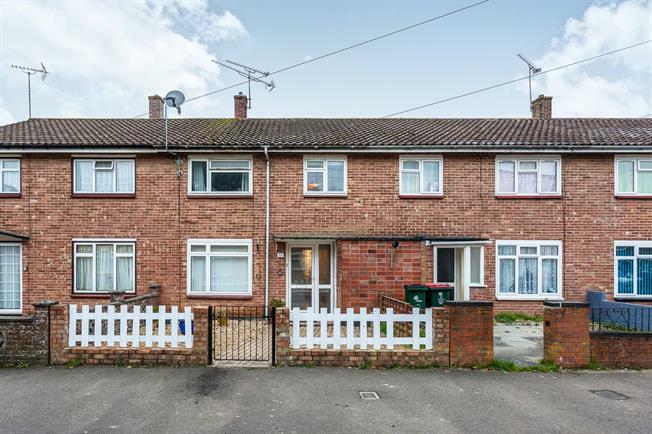 3 Bedroom Terraced House For Sale in Crawley for Guide Price £260,000. This lovely and homely three bedroom family home in Ifield perfect for a growing family and is located in a cul-de-sac safe for children and pets. Stand out features include a generous re-fitted open plan kitchen/diner and a good sized south facing back garden. The accommodation in full comprises three good sized bedrooms, a re-fitted bathroom in a white suite, lounge and a kitchen/diner. Further benefits include double glazed windows and gas central heating to radiators as well as an enclosed rear garden with a large patio area and a front garden enclosed by a white picket fence. Ifield station is located half a mile from the house so you are perfectly located for easy commuting.